If you haven't heard, we now have our Blu-ray videos available. This video shows a bit more about the process. We will be producing more of these indepth tours, which feature thorough coverage of just one layout. Watch the MILW tackle the grades of St. Paul Pass and haul goods along the scenic Clark Fork River in Montana. fruit, passengers, and other freight from LA to San Bernardino through the orange groves and cities. The freelanced P&W (loosely based on the Pioche Pacific) serves the mines in Nevada, hauling ore to the mills. 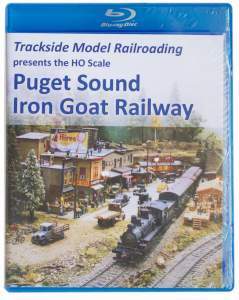 The PSIG is a spinoff branch line of the Great Northern and the steam trains serve towns in the Seattle area. The TWRR is inspired by the Port Townsend Southern, but more modern. The railroad serves various industries from Olympia, Washington to the coast. Come experience the 1950s in Southern California on this Santa Fe route from Los Angeles to San Bernardino. 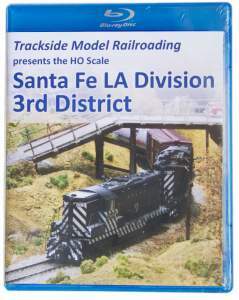 You'll see diesel and steam trains travelling past scenic orange groves, over the Santa Ana River, and through the detailed towns of Placentia, Corona, and Riverside as they travel around the layout. This beautiful layout belongs to Bill Messecar and is in HO scale. (For ATSF fans: watch for the Easter egg illegal Warbonnet train that makes an appearance in the video.) We include an actual operating session on the layout and you can join us for a cab ride all around the pike. 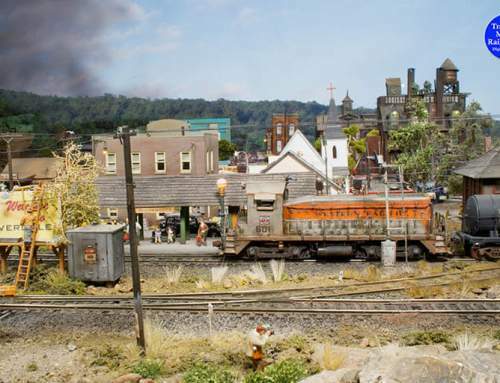 You'll enjoy the scenery, the variety of trains, and the meticulous detailing of many of the structures on the layout. 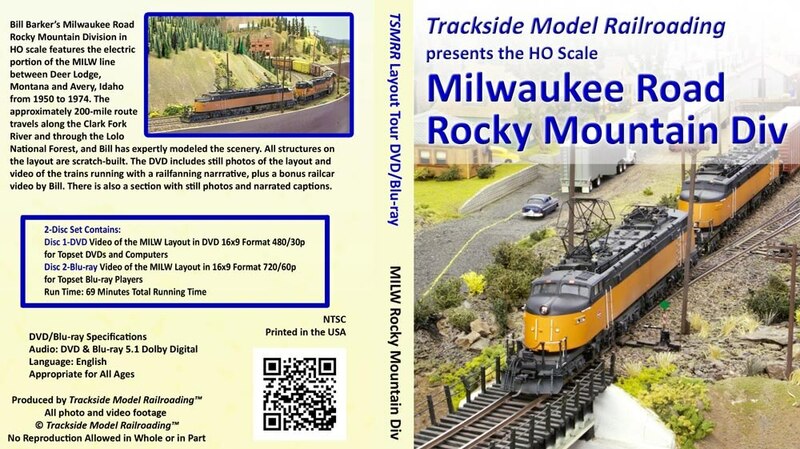 Watch the Milwaukee Road traverse the electric portion of the MILW route from Deer Lodge, Montana to Avery, Idaho on Bill Barker's HO scale layout. You'll see Little Joes, Boxcabs, and SD40-2s travelling the route through the Lolo National Forest, and over St. Paul Pass. All of the structures are scratch-built. The mountainous scenes include wildlife and beautiful scenes along the Clark Fork River. This video includes a cab ride around the layout that Bill filmed and shared with us for the DVD. 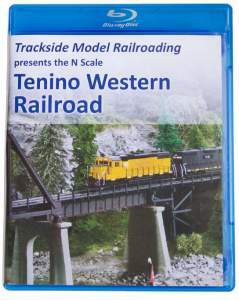 See how good N scale can look on the Tenino Western Railroad. Tyler Whitcomb's freelanced TWRR is loosely based on the Port Townsend Southern Railroad that operated in western Washington. You will enjoy watching the railroad work line from Olympia to Tenino and west to the Washington coast, hauling varied freight loads and passengers past waterways and verdant, green forests. We include a special photo album of pictures Tyler took before he tore down the layout to start on the TWRR's next chapter. Come see the Montana Rail Link's modern operations over Mullan Pass on Kirk Thompson's HO scale layout. Watch the BNSF and MRL in action, hauling heavy freights up the grade. The layout models the line from Laurel to Missoula with a focus around Helena. Just like the prototype, Kirk runs helpers to assist the trains as they climb the Rockies. 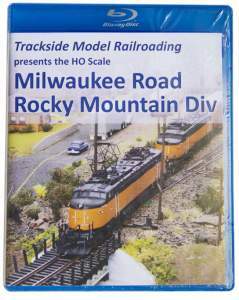 The DVD includes a cab ride around the layout. The full cab ride in 360 degree video will be included on the second disc (for the computer). Watch the Union Pacific at work as it hauls freight across the country from Nebraska to the west. Bob Bkerke’s N scale layout is a busy railfanning layout featuring heavy traffic and a variety of scenery along the long route. The multi-unit lash-ups haul all sorts of goods on this unusual three-room pike. We build a portable coal bunker from scratch this month using inexpensive materials. We will build the bunker and weather it, as well as create a realistic coal load for it. 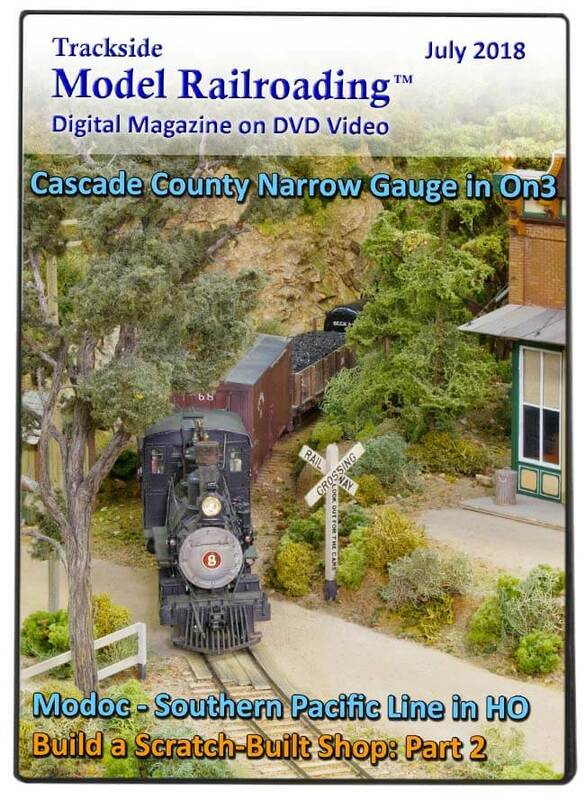 Visit Dave Clune's proto-freelanced layout based on the Nevada County Narrow Gauge but set in Oregon from 1925-1932. His Cascade County Narrow Gauge is in On3 and is beautifully scenicked. Dave focuses on mining on his pike, which features detailed, scratch-built structures and interesting operations. His steam locomotives are modeled after many of the NCNG's locomotives and the mines and stamp mill are based on prototypical structures from the time period. We think you will enjoy seeing the operations of this impressive layout. Southern Pacific fans should enjoy Chuck Clark's freelanced Modoc-Southern Pacific Line in HO scale. The layout connects Klamath Falls, Oregon with Winnemucca, Nevada, travelling through much of California. Chuck runs long trains, hauling all sorts of freight and serving various industries on his double-deck layout. The Modoc has an extensive main line and four branch lines, so there are lots of options for switching during operations. The impressive scenery on the Modoc features mountains, forests, and desert along the route as the trains travel the east-west route. The freelanced Port Columbia & Eastern Railroad connects the town of Port Columbia on the Columbia River with Waitsburg and Orchard on the east side of Washington. The railroad’s route crosses White Pass. It hauls logs and ore down from the mountains and a variety of other freight along the route. You will see the Port Columbia & Eastern’s own custom-painted locomotives in its striking black and yellow paint scheme as well as other power on the layout. Some of the other railroads we include in our feature are the Milwaukee Road, the Union Pacific, and the Great Northern. 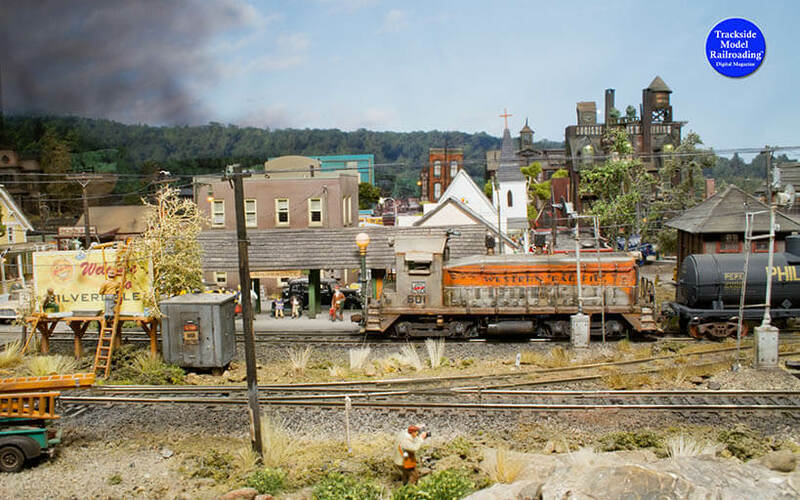 We think you will enjoy the scenic layout, which includes an interesting wharf, lots of industry in the cities, and the rivers and forests up in the mountains where the logging line and mines operate. We include photographs, video, and a story of the PC&E. See Mike Bucy’s Pacific Rail & Transportation in operation. 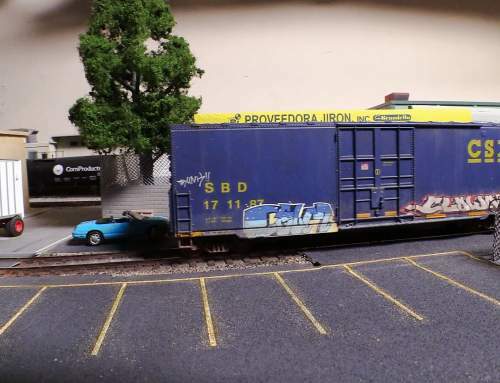 The N scale layout is a freelanced shortline built on a door with an extension. Mike is predominately interested in operations, so he has included seven industries for the railroad to serve and an elevated branch line. The Class III railroad also interchanges with the BNSF. The railroad is nicknamed the PacRaT and has a long history in the fictional Pacific Northwestern town of West Creston. It runs older secondhand power, mostly GP9s and GP38s. We include a short video of the layout along with the photos and the story. In this two-part project, we will construct an industrial shop from scratch. The measurements are given in scale feet, so though we build our shop in HO scale it could easily be constructed in another scale. Visit this freelanced pike that travels through the Cascade Mountains, the High Desert, the Blue Mountains, and the Palouse to connect Portland, Oregon and Spokane, Washington. The railroad has an interesting story and hauls quite a variety of freight with an emphasis on logs and related products like woodchips and paper; ore, coal, and gravel; and mixed goods shipped between eastern and western Oregon. Our feature shares a creative ride-along story on the club’s Pioneer passenger train as it travels westward as well as a story about the operations of the layout and the railroad’s mythical history. We share lots of interesting photos of the Mount Hood Railroad Engineers’ beautiful scenery, photographs, and a cab ride video of the layout. See Bodo Capeller’s freelanced Pacific Northwestern layout. He runs an interesting mix of Great Northern and Amtrak electrics and Rio Grande Southern diesel locomotives. The small layout is well-scenicked with a bay, countryside, and two towns. Bodo built custom catenary wiring for the layout, adding to the realism of his work. He runs passenger service and has many people and other details included on the Blue Arrow Lines. 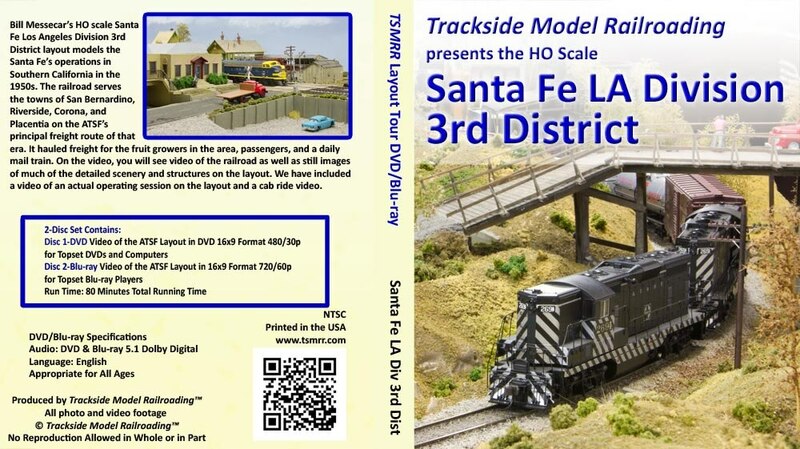 We include photos, video, a map, and a cab ride on the layout. Create handmade flowers and planter boxes for your layout using inexpensive materials. The project is simple and can easily be completed by any modeler who is comfortable working with small parts. Our example is in HO scale, but we give dimensions in scale feet so it can be easily built in another scale if desired. See the Great Northern Railway's efforts to cross Stevens Pass in the Cascade Mountains of Washington State. Our feature delves into the history of the railroad's gradual progress as it built switchbacks and two tunnels to cross the mountains. Depending on which route you travel to cross the pass, the layout models anywhere from 1900 to present day. Our feature includes mostly diesel locomotives, as that is what visitors will likely see during a visit to the Wenatchee Valley Museum and Cultural Center where it is located. 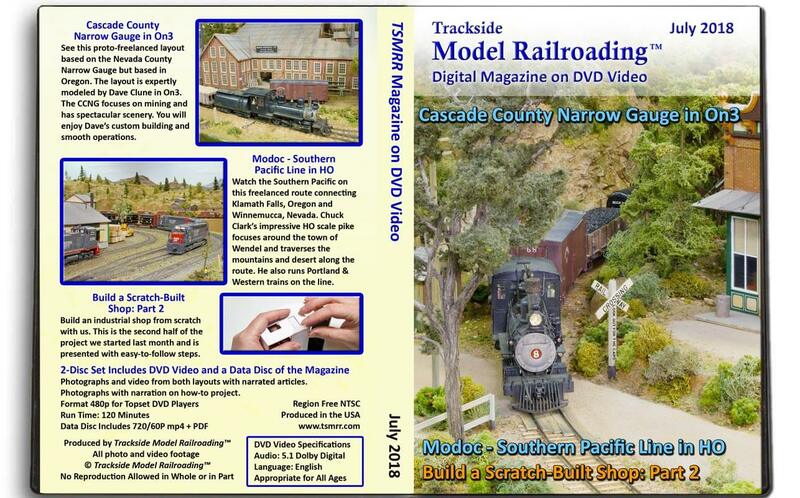 Enjoy the photographs, local history of the GN and the story of the layout, and video of the layout. We include cab ride videos on the DVD. See the freelanced HO scale Disasterville show layout, featuring many interesting incidents and disasters on this detailed sectional layout. Dave Reagan and Chet Wachsmuth take the sectional layout to shows. 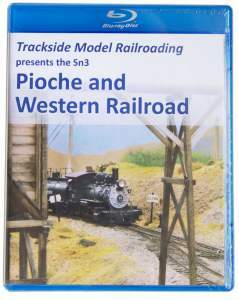 They run a variety of western railroads on the layout, which is based in the Pacific Northwest in the 1980s and 1990s. You will see Burlington Northern, BNSF, Kansas City Southern, Amtrak, Union Pacific, and Montana Rail Link in action. A cab ride on the layout is included. We build a modern load of concrete ties based on a photograph of a prototypical load we saw recently. The project is simple and anyone can complete it. You can also create just part of the load to use in a scene instead of making the whole load. Visit the Columbia River N Scale Club’s layout modeling the Columbia River Gorge with us this month. The layout includes parts of the BNSF main line in Washington and the Union Pacific main line in Oregon and features beautiful scenes along the river. 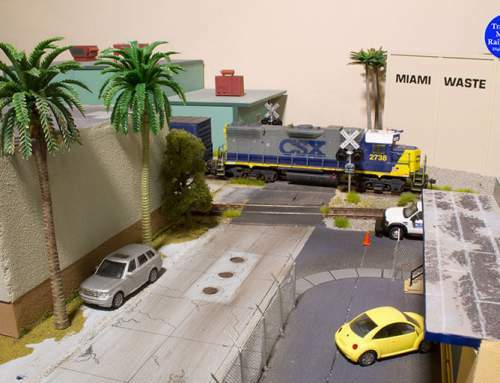 The NTRAK layout also includes industrial areas to make the club’s regular operating sessions more interesting. The route through the Gorge travels from Biggs to Portland. The club generally operates modern trains, but at times they operate as far back as the 1960s. We include some of the predecessor railroads in our shoot (BN, SP, SP&S). 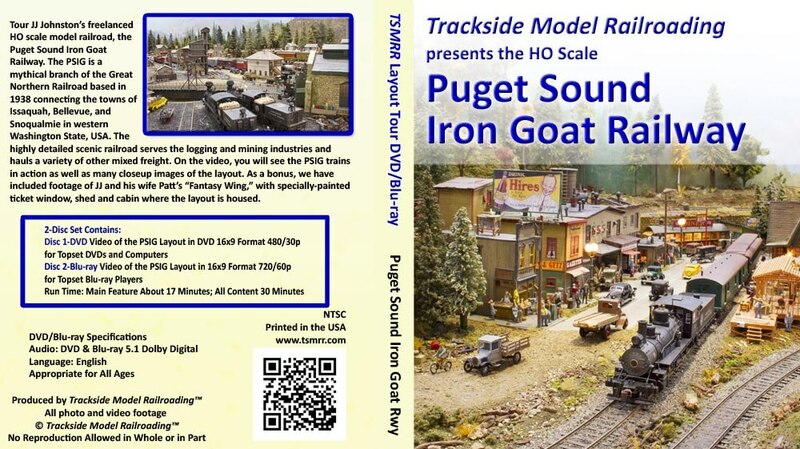 A cab ride on the Columbia Gorge Lines is included on the DVD. 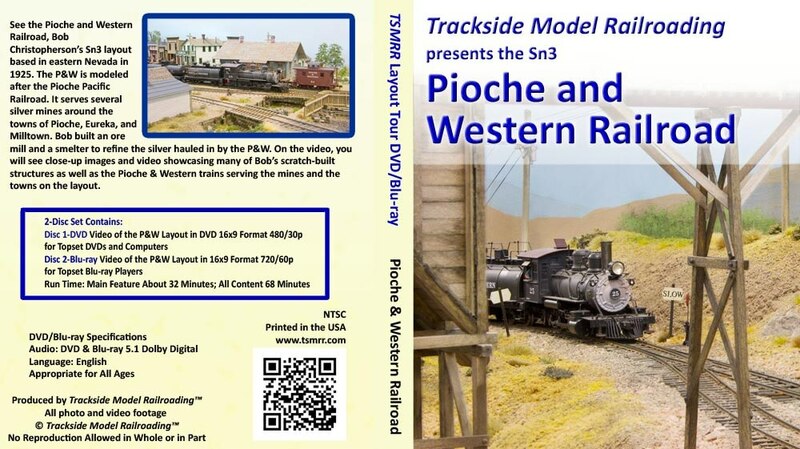 Our second layout tour this month is Mike McGee’s freelanced Northern Pacific & Stampede Pass, also in N scale. 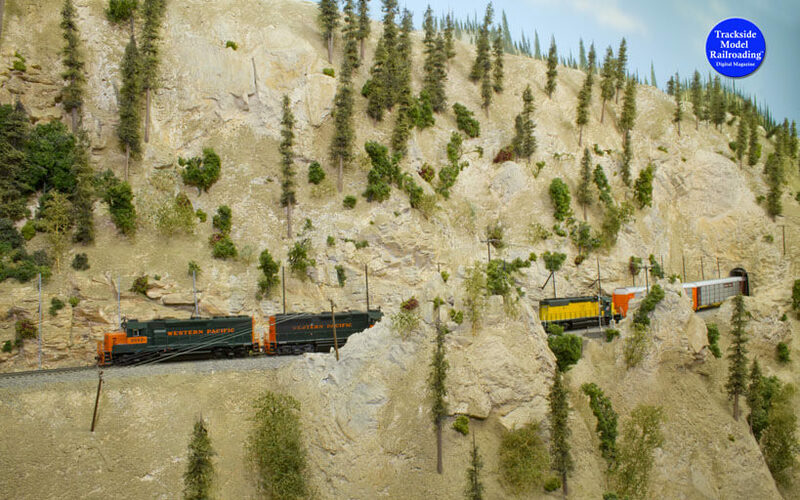 The layout models Lester, Washington at Stampede Pass in the Cascade Mountains. It is based on the Northern Pacific in the summer of 1969. In addition to the town of Lester, it includes lovely forested scenes and freelanced towns up in the mountains. The NP&S hauls a variety of freight between Cle Elum in the mountains to the east and the city of Auburn in the west (both are represented in staging), but the main industries on the layout are logging related. Our NP&S feature includes video, an article, and photos. A cab ride video is included on the NP&S. This month we finish the custom pipe load we started building in last month’s project. The pipe load is simple to make and easy enough for new modelers. It is also inexpensive to build. We toured the Oregon side of the Columbia Gorge Lines last April. This month, come see the Washington side of the 60x70 foot layout. In this feature, we focus on the Spokane, Portland & Seattle Railway in the 1950s and have included a creative ride-along story. The SP&S owned the main line on the WA side at that time. For those who enjoy more modern railroads, we include photographs of newer BNSF trains (which owns the main line today) as well as a mixture of other railroads: Northern Pacific, Union Pacific, Amtrak, and a little Southern Pacific and Cotton Belt power. The article includes the ride-along and some information about the club. For more information on the CGMRRC and photos and video of the Oregon side, see our April 2017 issue. (In the magazine, this month's video features the SP&S. 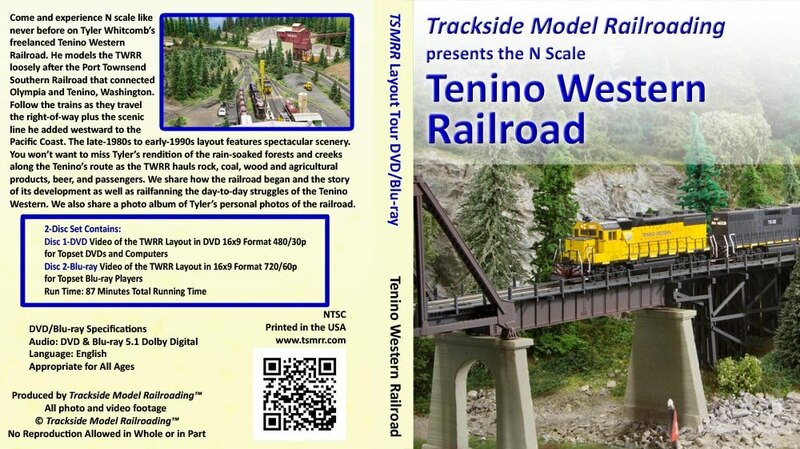 The DVD video will include other railroads, too.) 360 degree video is included in the Premium Edition of the magazine. Bill Baker's freelanced Oregon & California Railway models the Southern Pacific's Natron Cutoff through the Cascade Mountains of Oregon. In Bill's world, the O&C owns the line and leases it to the SP. You will see mostly SP steam locomotives along with a few diesels. You will also see a few Spokane, Portland & Seattle locomotives, as the railroad has trackage rights on the O&C's line. Bill's feature is a bit different than our usual tours, as it is a work in progress and shares many behind-the-scenes building ideas. 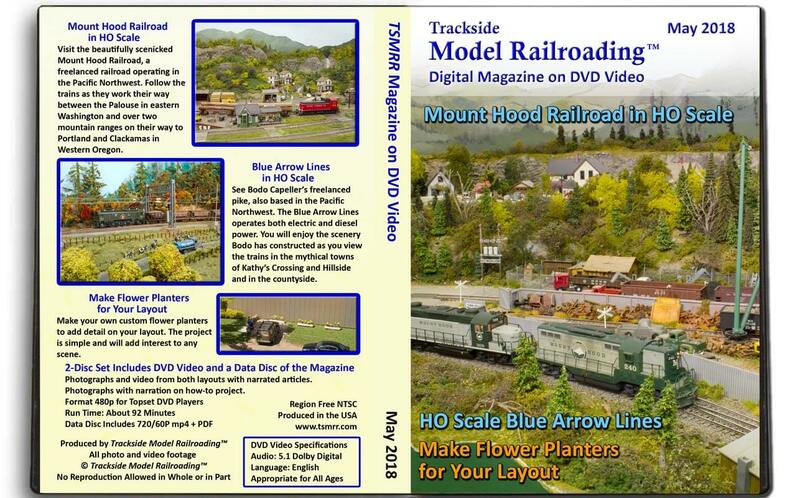 The feature includes photographs, an article (which tells the story of the freelanced railroad as well as building and wiring ideas), and video. Some of the video in the Premium Edition is 360 degree. We show you how to make your own custom pipe load in a two-part project. Part 1 is in this February's magazine. The project is simple but a bit time consuming, which is why we have split it into two parts. You can build this load for a bulkhead flatcar. We built it for the car we upgraded and weathered in January. Visit WWII-era northeastern Tennessee on Lee Bishop’s Stoney Creek Southern Railroad. The freelanced layout is based on a mythical version of history and has ties to the area’s history. It runs East Tennessee & Western North Carolina Railroad power, hauling commuters from Elizabethton to Buladeen and supplying various goods to the towns of Winner, Hunter, and Sadie. Lee is a history buff and enjoys mixing his love of history with his love of modeling, adding many historically appropriate details on the small narrow gauge layout. Lee runs 4-6-0 Baldwins on the layout, which is based in 1943. The Camas Prairie Railroad operated in northern Idaho and was jointly owned by the Union Pacific and Northern Pacific Railroads. We feature a freelanced version of it this month built in HO scale by the Lewis-Clark Model Railroad Club of Lewiston, Idaho. The club is loosely based from the 1950s to the 1970s and runs a variety of steam and diesel power. Diesel fans will get to see a few newer locomotives that we ran during our visit, as the club is not strict about the era. The layout’s hub is in Lewiston, Idaho, and the line runs east through Cottonwood and up into the Craig Mountains. The project this month is upgrading and weathering a bulkhead flatcar. We add wooden “boards” over the plastic, molded boards on a flatcar and weather the car to make it worthy of showing off on any layout. Next month, we will add a custom pipe load on this same car, but it will look great loaded or unloaded. This is an easy project that any modeler should be able to complete. This includes both layouts and the how-to project with new content that is not included in the digital magazine. All video is accompanied with narration except cab ride features, which have actual layout sound. Railfan & Cab Ride Videos (No narration) including the full 360 degree view cab ride. First of all may I say , I hope you have fully recovered from the big C . Secondly thank you for you magazine , without which I wouldn’t have the ideas that I have for my layout . I have yet to get started on it , soon I hope . I live in a little part of the U,K, called Wales , around here model shops and clubs are few and far between , so advice is hard to come by , and parts even harder . In October this year some of my family and I will be traveling to 5 American cities and will be picking up some supplies and parts plus I hope more ideas , without your magazine I would be lost , thank you both very much .. Thanks Raymond for the kind words. Jenny is cancer free now, so that is good news. Glad to hear you are enjoying our magazine and learning from it. We hope to inspire all our readers to create their dream railroads. What cities are on your list to visit?